Here is another project using the Kindness Matters set from my stamp set spotlight. This versatile set is great for those just starting out. This card was created using crumb cake card stock, First Edition DSP, basic black card stock, crumb cake 3/8" taffeta ribbon and of course, basic pearls. 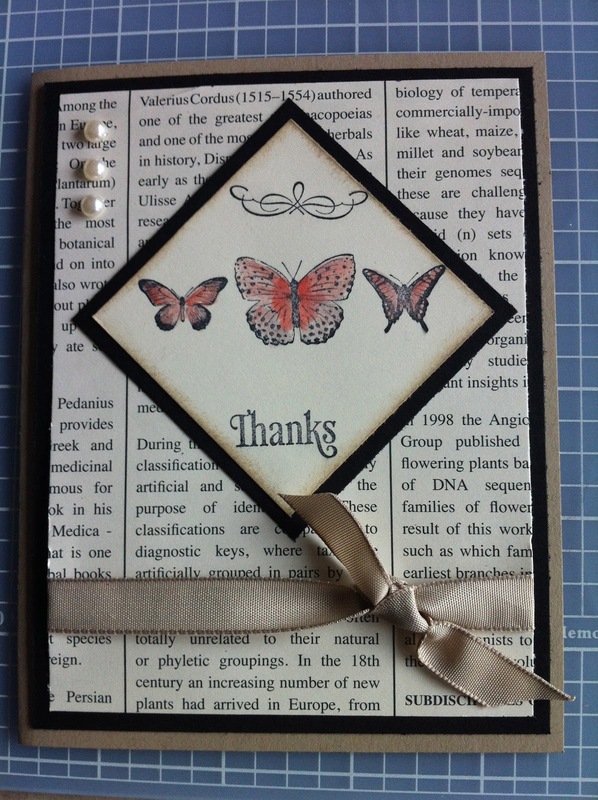 I coloured the butterflies using a blender pen and my calypso coral ink pad to give the card just a pop of colour. To make this card or to learn more about Kindness Matters, please contact me to book a workshop. I'm available by email or phone, 289-280-0304. Of course, if you'd like to order Kindness Matters you can shop online 24/7 by clicking the Stampin' Up! logo at the top of the page.